Bitcoin is a new kind of money that started in 2009, some say the future of money as we know it. Bitcoin allows you to send money to anyone online, anywhere in the world, for less than a penny! Think of it as a dollar bill with a teleporter attached to it. Bitcoin is the first digital currency not controlled by any government or organization. There are already over 100,000 people exchanging thousands of dollars with of bitcoin every day with no middle man or high transaction fees like credit card companies charge. Congratulations, you are in the 1% of the population that has even heard of bitcoin, so it’s not too late for you to get a pretty good head-start and make some money. While this getting started guide is written to help you get started with bitcoin, there are now many other crypto coins aka altcoins out there now with more being created everyday. Most have different structures, features and benefits over bitcoin, the first of the crypto coins. The vast majority of users simply use it as a currency, though there are many ways to profit from bitcoin. The idea of this decentralized currency has reached investors and the price of Bitcoin has recently skyrocketed. Transactions are processed by users of the network and miners instead of a bank or payment processor. 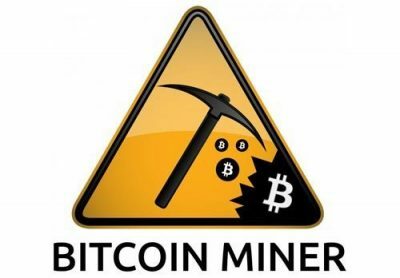 Bitcoin miners allow the bitcoin network to use their often specialized computers processing power to process the transactions in return for a small amount of bitcoin. There is currently an arms race going on by processor manufacturers to product the fastest bitcoin miner. Here’s a short, easy to understand video on what a bitcoin actually is and how it’s used. Ready to jump in head first and get some bitcoin(s) and altcoins? I’ve broken this getting started with guide down into a couple steps. 1) Get a Bitcoin Wallet – First you will need to get a bitcoin wallet to store and send your bitcoins to. You can download a Bitcoin wallet to your PC or app to your SmartPhone or alternatively use an online wallet. If your dealing with other crypto currencies then you can of course download and use a wallet for that particular coin. My method of finding a wallet is to, of course, search google, i.e. “bitcoin wallet” or “dogecoin wallet”. Personally I use Cryptsy and CoinBase online wallets, most of the time, to store the Bitcoins I wish to trade with at the time. a) Bitcoin Mining – There are now many bitcoin mining hardware manufacturers out there offering specialized and expensive bitcoin mining rigs for sale. The latest bitcoin mining rigs are powered by Application Specific Integrated Circuits, or ASICs, that have been developed specifically to solve the SHA-256 algorithm that bitcoin is based upon. Bitcoin mining has become quite competitive and the bitcoin hardware manufacturers are often sold out months in advance. Alternatively you could purchase a cloud mining contract or buy hash power in the cloud and avoid the hassles of setup, maintenance and electricity costs. If you would like to mine alternative coins aka altcoins, you can build your own mining rig using video cards which are currently the most efficient way to mine for crypto coins based on the script algorithm like litecoin or earthcoin. Be sure to read our exclusive article on how to maximize your bitcoin mining profitability. b) Purchase Bitcoin – Buying bitcoin is much faster than mining 😉 Coinbase and Bitstamp are among the most popular and trusted websites to buy and sell bitcoin using your bank account. You can also buy bitcoins using your credit card at Coin Mama. You can of course also buy bitcoin directly from a seller locally or online using LocalBitcoins. c) Accept Bitcoin – Your business can easily accept Bitcoin and or other crypto coins! There are a couple services that ease the accounting by instantly converting the bitcoin payment into fiat currency like BitPay. d) Trading Bitcoin and Altcoins – Now that you have acquired some bitcoins you should look at investing into the other altcoins that show potential. You can trade bitcoin and other crypto coins very much the same way you would trade stock. The main differences are this market never closes and has no restrictions! There are a few big bitcoin and altcoin exchanges each with different features and benefits. We have added all the sites we use to make a living to Best Bitcoin Reviews so take a look around. With a little research you will be using bitcoin and altcoins in your daily life to convenience and investment. 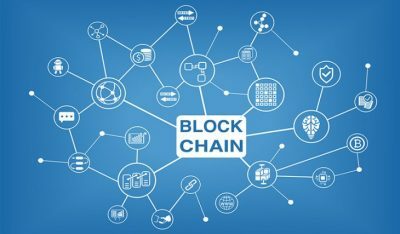 What exactly is blockchain and how does it work?